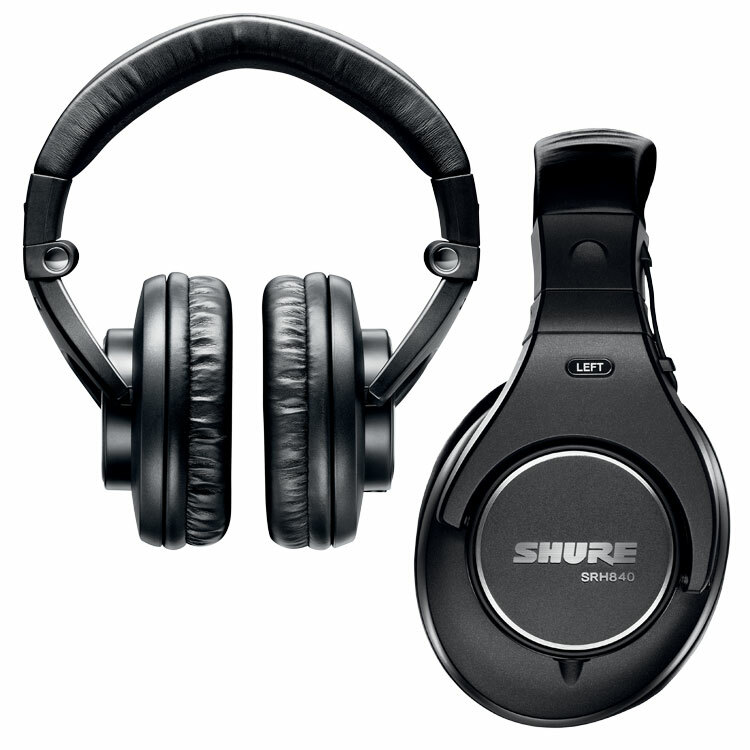 Shure SRH840 Professional Monitoring Headphone DJParts - All Variety of Parts that DJ Needs. Designed for professional audio engineers and musicians, the SRH840 Professional Monitoring Headphones from Shure are optimized for studio recording and critical listening. A precisely tailored frequency response and 40mm neodymium dynamic drivers combine with total comfort and durability to provide the ultimate listening experience. The replaceable cable and included set of replacement ear pads ensure a long-lasting lifetime of use. Also includes threaded 1/4" (6.3mm) gold-plated adapter. * Precisely tailored frequency response delivers rich bass, clear mid-range and extended highs. * Collapsible design for easy storage and portability.